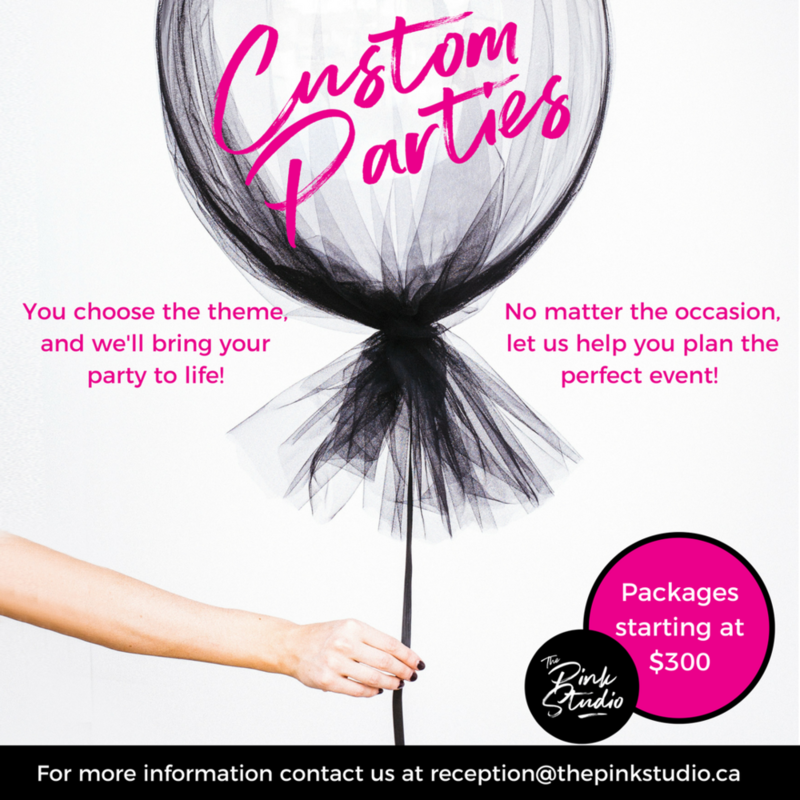 host your next party at the pink! we do birthday parties, bachelorette parties or any other special occasions that need that extra special touch of sass. If you are interested in renting the studio for a rehearsal, photoshoot or class, the rate is $50/hour. We have partnered with www.aboutthatnight.ca to help you plan the ultimate bachelorette party! Contact us for details.